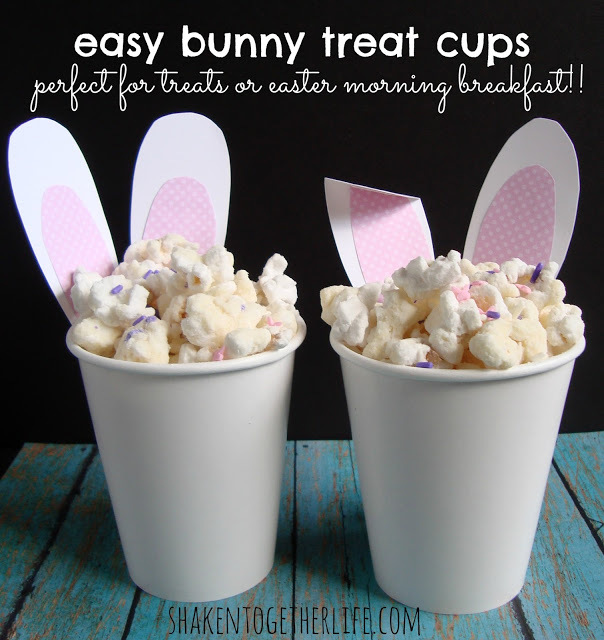 If you are having an Easter get together, Easter brunch, egg hunt, or otherwise, then you will want to check out these cute bunny treat cups. And easy way to dress up any snack for your party. I am going to make the cute bunny ears and fluffy tail and add them to the juice boxes I am taking for my daughters preschool Easter party.